Organic Search Engine Optimization is what we, as an SEO Company, do for a living. Google has made our job more challenging over the years, with frequent “move the goal posts” algorithm updates, but we’ve managed to stay on top of the best practices and techniques. Through careful research and vigilant observation, we stay up to speed so that our customers’ sites keep ranking highly for their desired set of keywords and keyword phrases. When we say “search engine optimization”, what we really mean is “organic search engine optimization”, as differentiated from Pay-per-Click (or PPC) search engine advertising. When we help our clients rank highly for their desired keywords, we’re helping them rank in the “organic” or “natural” results (SERPs), which give the site owners both increased prestige (as it’s an implied endorsement from Google itself), and also FREE clicks, since a million visitors a day could search, find and click without any incremental cost to the ranking web site owner. This is on top of the fact that PPC search results only garner about 10% of all the clicks. The lion’s share, 90% of all searches, end up with one or more of the organic results being clicked on and visited. As an SEO Company, our job is to help our clients maximize their site’s exposure via this critical medium of web site traffic generation. Absent conventional branding campaigns costing vast sums of money, it’s the only way to get significant amounts of targeted traffic to your site. This essentially breaks down into two separate types of work: On-Page Factors Optimization and Off-Page Factors Optimization. These work areas both stem from a critical piece of preliminary research — determining what the proper keyword and keyword phrase (long-tail) targets should be. This includes proper Geo (location) Targeting if the SEO campaign is locally oriented, and not national or global. Click here to read client testimonials about the impact our SEO company has had on their business. Here is the video of David Caputo’s presentation “Are You in the Top Ten?”, given at the Creative Economy Summit 3 in Greenfield, Massachusetts on 3/24/12. Click here to listen to one of our SEO Podcasts, a recording of our Local SEO 101 Workshop presented on 7/19/11. For On-Page Factors Optimization, the role of an SEO Company will vary based on what the starting condition is. 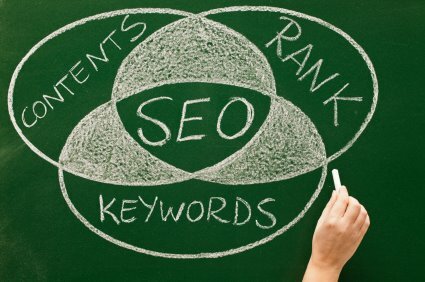 If we’re creating a new web site from scratch, our job is to carefully research and review the designated target keywords and generate on-page content that contains these keywords in the proper density, is psychologically compelling to read, and has an appropriate level of latent semantic indexing (LSI) in the rest of the copy. This means that we can’t just repeat the same keywords over and over again, they have to be contextually relevant within the both the framework of the individual article and also the overall site. There are many other strategies we also employ, but for reasons of proprietary advantage we can’t fully reveal them here. If we’re taking over the SEO for an already existing site, we review the content, tags, internal link structure, and a host of other factors, and then present our comprehensive plan, which can range from minor tweaking to a complete overhaul, depending on what will be required. With Off-Page Factors Optimization, our role as an SEO Company is to create significant quantities of high-quality, fully-relevant, high-PageRank anchor text links to the target site. This is much easier said than done, nowadays, as the most recent “Fresh” and “Panda” Google algorithm updates, not to mention the slightly less recent “Farmer” update, make old-school inbound link building techniques completely ineffective. Our strategies of careful research, diligent original content creation, and clever presentation remain as solid now as they have been for years, as evidenced by the staying power of the rankings we’ve achieved for our customers. Many other SEO Companies have had significant problems once the algorithm updates have been fully implemented. We have avoided this through our strict adherence to white hat SEO company techniques and our consistent “Content is King” link building approach. Call us today at 800.472.3765 or use our convenient form above to Get a FREE SEO Analysis for your web site. Please note. Due to the particular nature of SEO work, SEO service charges are taken at the beginning of each month worked, and all sales are final.